That was back before my belt started to shrink. I specialized in long distance running. I could go for twenty miles in a morning run. Back then I ran like a gazelle. These days I sort of wobble along like a pregnant moose. I’m not saying that it’s pretty. I had a system––a simple little Jedi mind trick that kept me running when my feet were saying stop. I’d tell myself that I was just going to run to that next telephone pole. That’s all I need to do, I’d tell myself. I just need to get to that next telephone pole. But once I made it to that telephone pole, I’d look on down the road and I’d tell myself that I just needed to get to that NEXT telephone pole. I learned that technique from my woodworking instructor, Lawrence Richards, who told me a story about how he used to get through the day at his job in the Lunenburg Brass Foundry––where he was paid to cut wooden wedges for shimming. That was all he did. He stood at a table saw, using a jig that cut each board at the proper angle––with a big wooden barrel at the end of the table saw that would catch the wedges as he cut them. He was paid a nickel a wedge––and that was how he got through his day: counting the nickels as each wedge hit the barrel. Five cents, ten cents, fifteen cents . . . I can relate to that. When I started writing I wrote for small press magazines that paid by the word. A lot of markets still do. And while it is highly impractical to sit at my keyboard and count each word as a nickel I can still relate to that whole wedge barrel analogy. At the end of the day a writer is nothing more than a fellow standing at one end of a table saw, cutting out chunks of his imagination and dropping them into a barrel. If you want the boss––the reading public––to keep you around and keep reading you––you better keep that barrel full! Face it. There are ALWAYS days when your inner muse says “To heck with all of this writing foolishness––I’d just as soon go and watch an old Arnold Schwarzenegger movie”. That’s when I tell myself––just write one sentence. That’s all it takes––mostly. I write that one sentence and it is bound to lead to another––and I can go back to counting nickels. If you’re REALLY serious about this writing business the first thing you have to realize is that writing is a life-long sentence. One sentence after another––one story after another––and each of them starts with just a single sentence. If that doesn’t work––here are two more simple tricks. Hang a calendar on the wall. 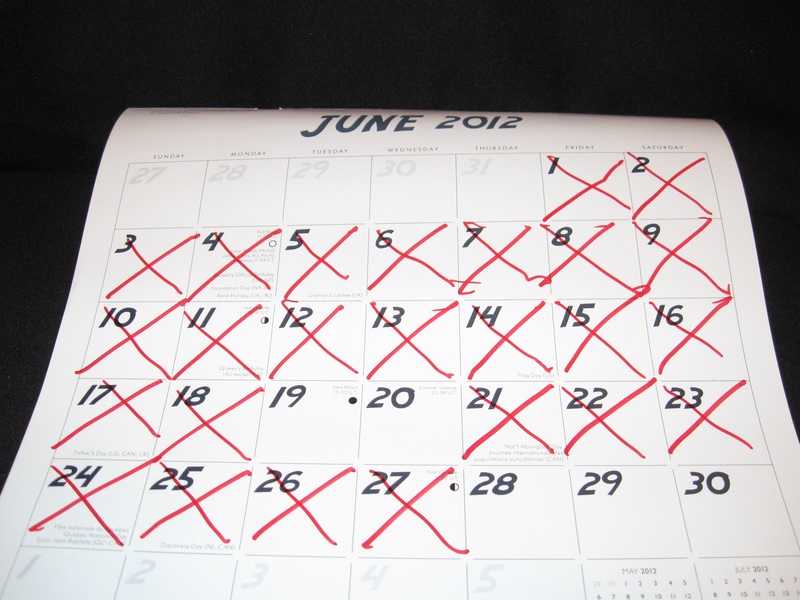 Scratch an X on the calendar on the day that you write one thousand words of actual writing. Use a bright red marker. The brighter the better. Do that every day. Those blank days––the days when you didn’t write––will stand out. They’ll haunt you. They will guilt-trip you into sitting down and taking that single necessary hour to rattle out a thousand more words. Keep that red chain running. Here’s another trick for you. This one involves a cooking timer. It looks like a plastic tomato. I set it to tick for an hour. 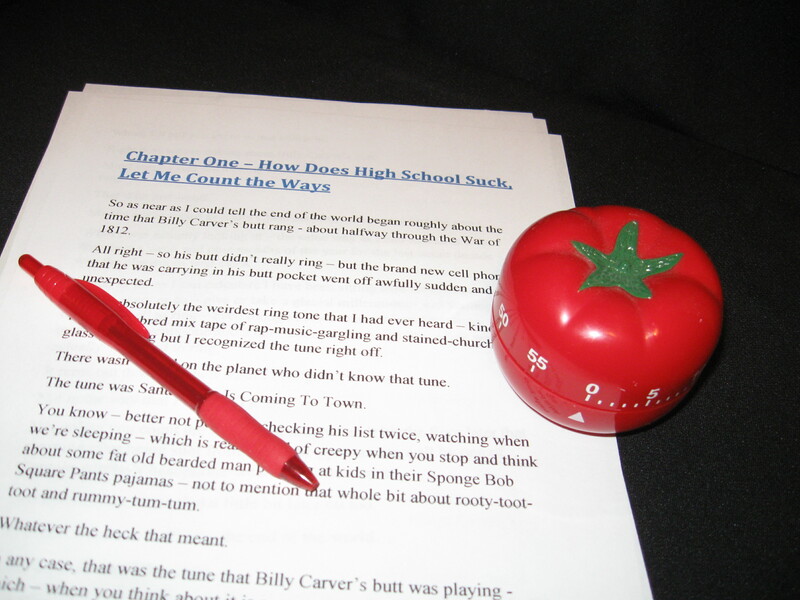 I let that silly little plastic tomato tick on––and while it is ticking I do NOTHING but write on my manuscript. I don’t check my e-mail. I don’t check my Facebook. I don’t even freaking Tweet! When it goes “ding” I stop writing. Oddly enough, by the time that goes ding, I usually have a thousand or so words. I do that for two to three months steady and I have a full length book. It still needs to be edited. It still needs to be revised. But in three months––a thousand-freaking-words an hour and I have a fair-sized novel. All it takes is a red plastic tomato cooking timer, one calendar, and one tomato-red marker. That’s all I’ve got for you this month. I’m not going to make you read one more sentence. 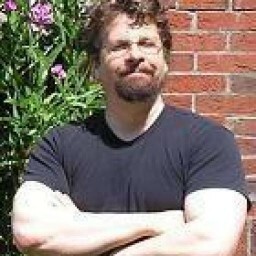 Steve Vernon is Canadian author who writes horror, science-fiction, YA, and even a children’s picture book. He lives with his wife and cat in Nova Scotia, Canada. Check out his blog, Yours In Storytelling. Check out his books on Kobo. You motivate me to stop reading my emals, facebook and any other internet distractions until that buzzer goes off. Thank you Steve. Glad to help, Ethel. We’re all in the same boat, might as well learn to row together.